Table runners are one of my favourite things to make. They're so quick (one can usually be made start to finish in just a few days) and easy and versatile. They're also one of my best sellers, since they're inexpensive and a simple way to add a nice touch to a room. Any of these runners can be reproduced in other colours if desired. Just email with the name of the runner in the subject line and let me know what you want. 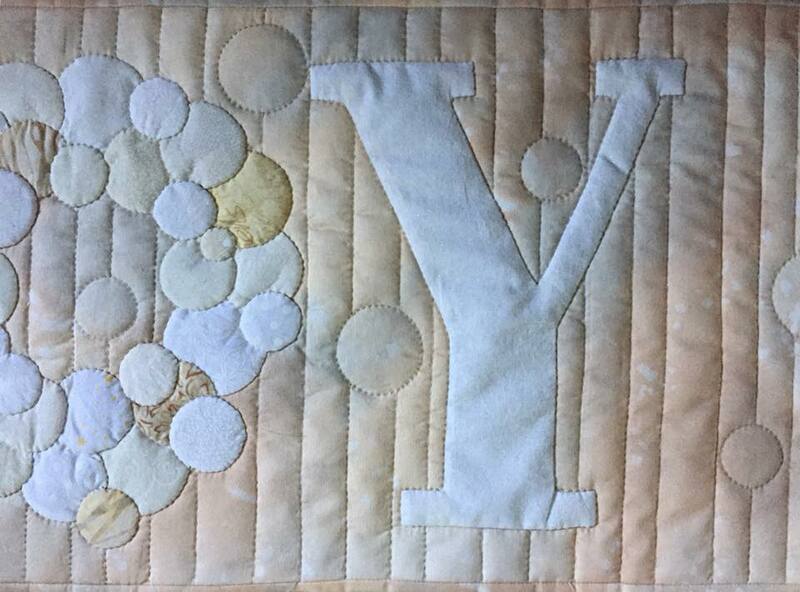 I do some of the piecing by machine, but all appliqué and quilting is done by hand. Each runner is $35 CAD. The JOY table runners are my best sellers. They are all around 42" x 14" and can be done in any colour. The O is made up of various sized circles to imitate the Christmas wreaths made of ornaments. Vertical lines are quilted in the background, interrupted with random circles throughout. Pattern is currently in development and will be for sale soon! Gung Hay Fat Choy loosely means "Happy New Year" in Chinese. Since red is considered a lucky colour it is perfect for this table runner. The circles represent coins. It measures 43" x 17" and can be done in any colour. 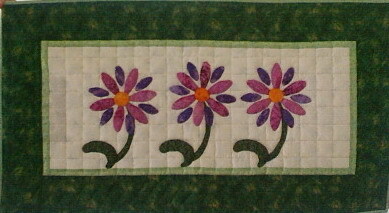 The pattern for this table runner is available for purchase here. 3 Apples is 36" x 16". I made the apples all in one piece, chopped them up and put them back together with a skinny divider strip between each piece. 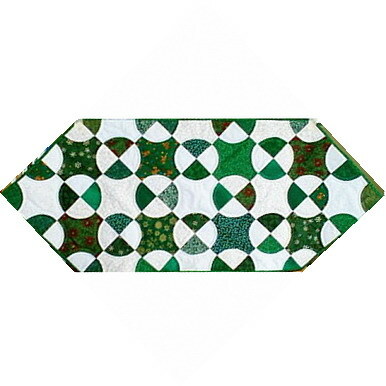 It has a sleeve attached across the back and can be used as a small wallhanging or a table runner. * this is an original design. The following runners are from books or magazines.